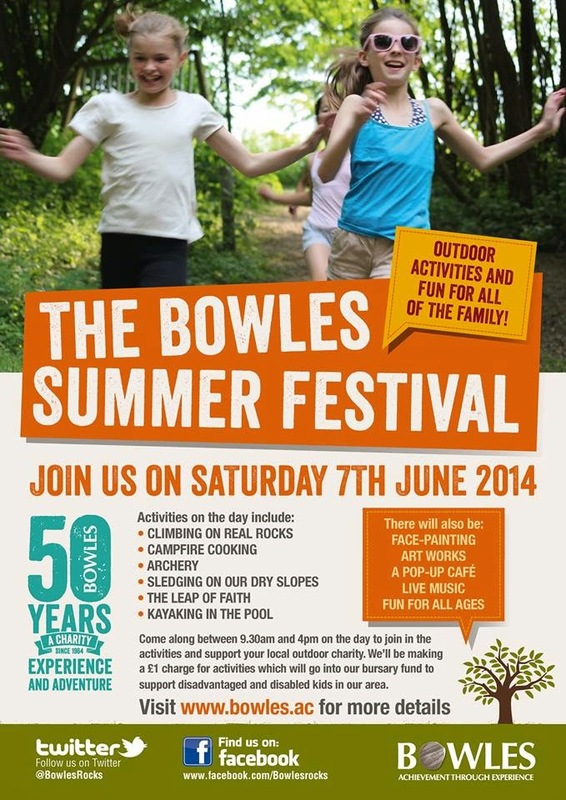 Bowles is having a summer festival on Saturday 7th June 2014 to celebrate 50 years of experience and adventure. 9:30am - 4pm. All welcome to attend. Fire arrows down in their Archery range. Cook food on an open campfire. Test your nerve and take the Leap of Faith. Sledge down their Ski slopes. Take part in their Family Problem Solving Challenge. Jump out of a tree attached to our Zip Wire. Try Kayaking in their indoor swimming pool. Have a go at the Bowles Orienteering Competition.